Complimentary Valet service is offered to all our guests, but there is usually plenty of parking available on the street if you prefer. Pane e Vino is happy to provide the food for your next party! Our specialty catering menu is available for pick-up 7 days a week. Save yourself the stress and hassel of cooking and preparing and give us a call! We create all of our cuisine with a high respect for the longstanding & highly admired traditions of Italian regional cooking. At our restaurant you will dine in a comforting, rustic Italian atmosphere. You will receive the utmost professional service along with the freshest & finest prepared cuisine our chefs have to offer. Pane e Vino is where friends, family, & businessmen alike come to enjoy a relaxing Mediterranean environment, filled with the aura and sensation of the finest Neapolitan style Italian cuisine & wine. Est. in July of 2002, under the direction of owner Joseph DeQuattro, Pane e Vine, which means "bread & wine" in Italian, celebrates the simple & basic things in life, without forgetting about the superior ways to enjoy them. Pane e Vino never disappoints. The atmosphere is cozy and comfortable. The staff is extremely courteous and attentive. The food is always expertly prepared and delicious, and there usually are wonderful specials on offer as well that never disappoint. Food, ambiance, and overall experience were fabulous. The hostess was super friendly and accommodating.My sister and I each had a Manhattan (which was mixed to perfection), the seasonal mushrooms with baked cheese appetizer, and the gnocchi quattro formaggi. Everything was absolutely delicious. My only complaint was the server - she was not friendly and did not thank us for dining, even after receiving a 25% tip. Everything was great ! Joe the owner came to my table and said hello. The staff sung happy birthday to my wife in Italian ! 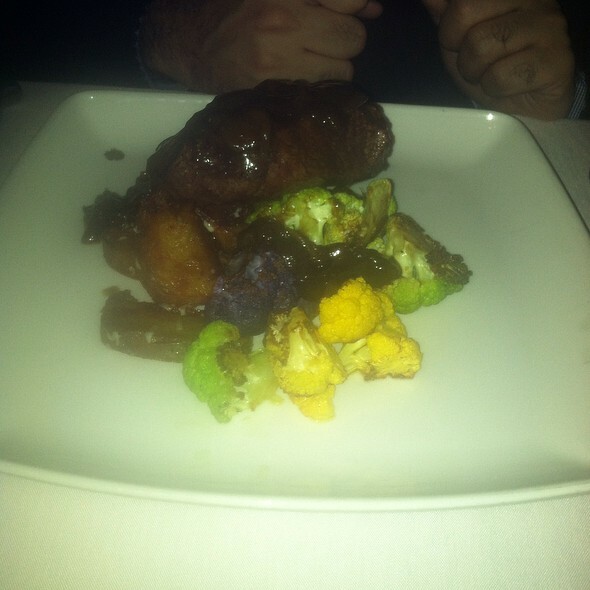 Excellent food and fabulous service! We will be back. This is a great restaurant, very professionally run. The service was excellent, we had Edward and he is probably one of the best service people I have seen in quite a while. His command of the menu, specials and beverages were exceptional. The food that is produced at this restaurant is very well made and professionally plated, presentations were excellent. I would highly recommend his establishment. 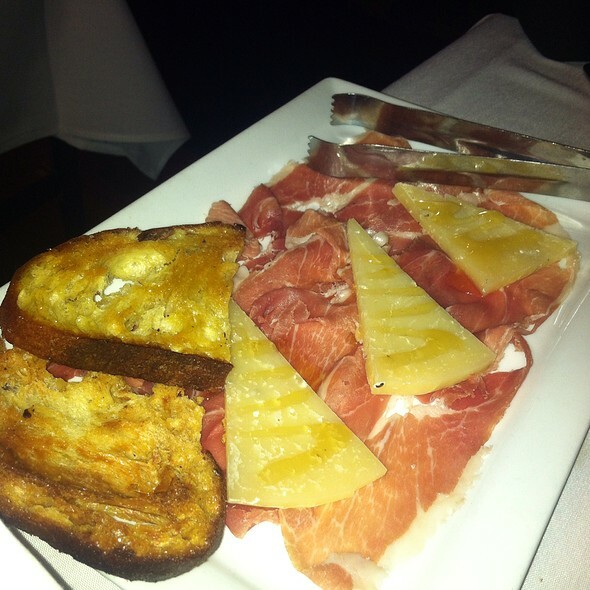 Pane e Vino has its own special flavor and its menu is a molto varied enterprise. Dropped down from a five star even though they prepared a white clam sauce with linguini for me. It is not a menu item, but one of my favorites. Unfortunately, the pasta was a bit under cooked and the sauce did not have a ringing satisfaction. Otherwise, my associates enjoyed their entrees and the service, led by Angelina, was superb. If you are going to Federal Hill in Providence, do not neglect partaking a meal here. Great food. Excellent gluten free menu. And our server Zack was really nice and patient with two chatty women! 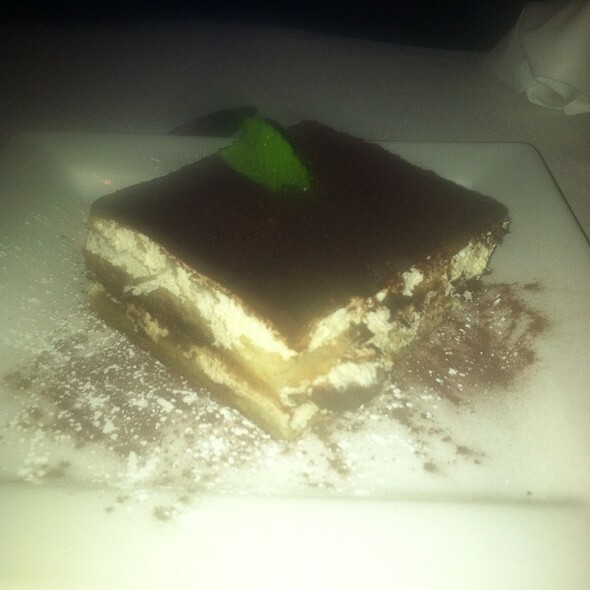 I would highly recommend Pane e Vino if you love real Italian ambiance, phenomenal Italian food, and impeccable service. Wonderful meal and service once again at Pane e Vino! This is my go to restaurant whenever I visit Providence. I am a tough critic. I am Italian. This makes me a very tough critic for Italian food. I have been to several places on Fed Hill and this place was, hands dow, the best. The space is small and a bit cramped but the bred and wine (not just a clever name) were great. The pasta was cooked to perfection and the veal was super tender and tasty. I am planning my trip back as we speak. There are still at least 15 items on the menu I have yet to try. Game on. We were very disappointed with service and staff. We waited 20 mins before someone acknowledged us. Then when someone did acknowledge us we then waited another 10 mins. We were told they were busy and we had to wait. The bar is 2ft long. Both bartenders seen us standing there several times and never once made any type of gesture. Rude and unprofessional. Food was ok and waitstaff was ok. PHENOMENAL!! Loved our dinner here again, and would highly recommend. Heather, the manager, and the chef, did a wonderful job accomodating some food allergies our group had, and everything was delicious. It was my daughter’s birthday and they had nice decorations on the table for her. Only comment would be that we ordered a cheeseboard and only got 2 slices of bread to have the cheese with, and the figs weren’t available, so nothing else was substituted for them. Fantastic evening, though, and we love the free valet parking! Our server Edward’s service, and knowledge of wines, was extraordinary. Warmly greeted by the front reception, and seated promptly and comfortably. Free valet parking a big plus in busy Federal Hill / Atwells Ave street. One of my absolute favorite venues to take business clients (as well as my wife) ... always exceptional! Consistently good food, relaxing atmosphere and pleasant staff. I miss the Monday and Tuesday Prix Fix specials but my friends and I still often go to Pane e Vino because we like the food and it is consistently good. Our young waiter was attentive without hovering. the Martini was very generous and poured elegantly by the waiter. We each had a different entree and split the delicious bread pudding for dessert. One of best meals I have had in quite awhile. We were greeted at the door, escorted to our table and waited on without any issues. Excellant staff, excellent service, along with great food and drinks. Highly recommend. The service here was unbelievable. The waiters are so attentive. The food was solidly average. I would go back and try it again. Overall, wonderful dining experience. My duck confit was a bit overcooked, but the dish was otherwise excellent. The octopus salad (special) was fantastic. My wife's pasta was very good, but considering the price, meh. Overall, I would say excellent but a bit pricey. Run to Pane e Vino! 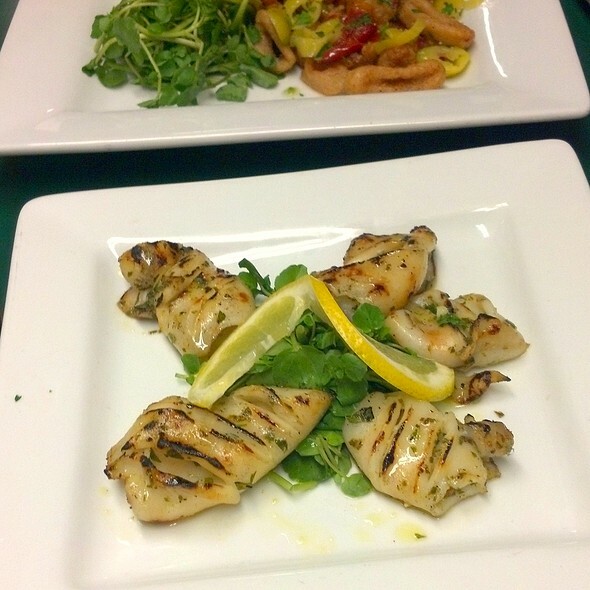 It truly is the best authentic Tuscan Italian food on the hill. 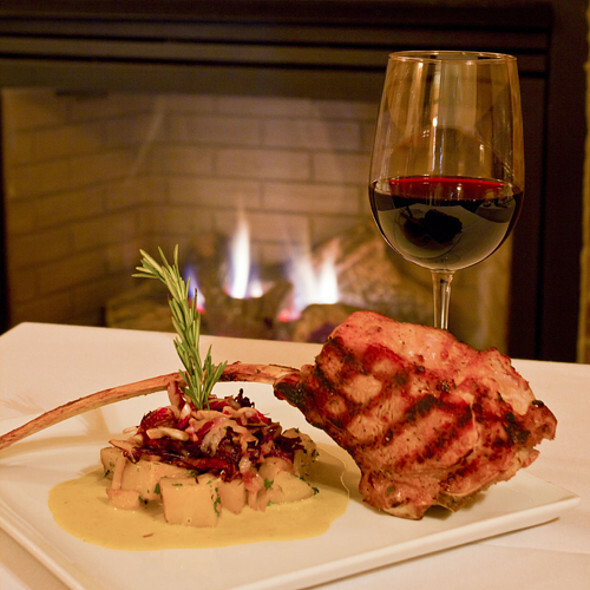 There is no doubt that the service is exquisite, the ambiance is comforting, and the food is not to be forgotten! We had a play to see after and we were looking for a nice place to begin our evening. Excellent Food and Service with Gluten and dairy free options. Excellent! Out of town guest loved it! Will go again. We had a great experience at Pan e Vino. We had a reservation and were seated immediately upon entering the restaurant. Our waitress was very knowledgeable and friendly. We were celebrating a birthday and did not feel rushed at our visit. Food was delicious. I would definitely recommend Pane e Vino! Wonderful execution. Try the Escarole appetizer. One of the best on Federal Hill. the atmosphere and food were wonderful. Our server was knowledgeable of the menu and very attentive. 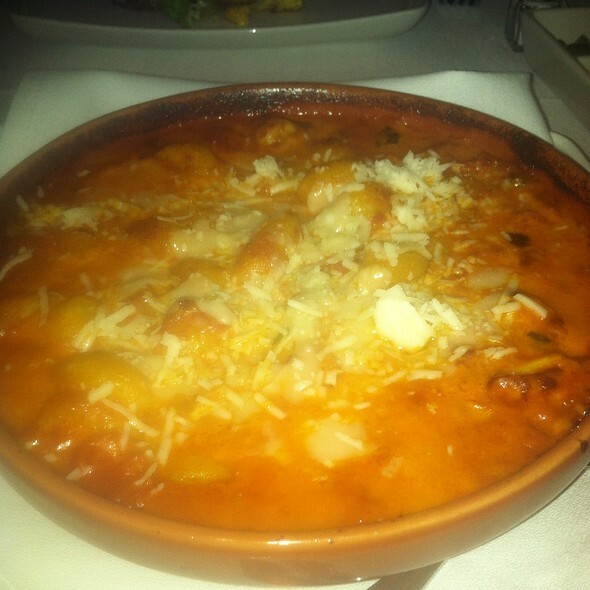 We will definitely be returning for another delicious meal. It's hard to believe that my husband and I have been enjoying Pane e Vino since it opened in 2000. And it just keeps getting better and better in every way. 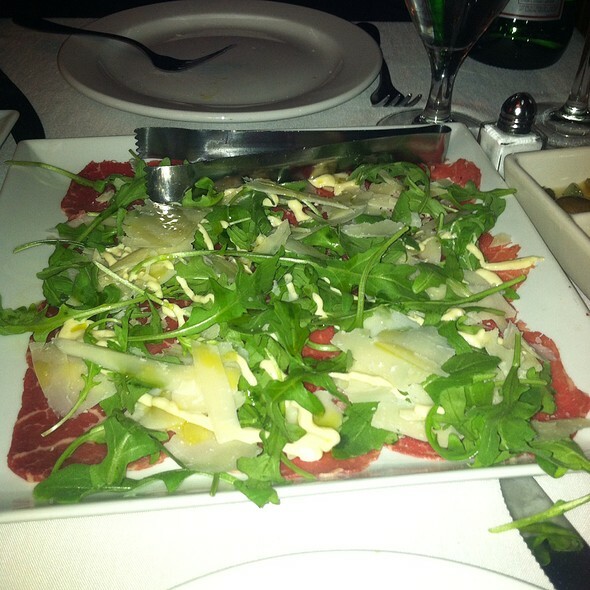 The food is always perfect and the the service and ambiance exceed expectations each time we dine there. The kindness and concern for their patrons is heartwarming and so admirable. Outstanding as always. The best Caesar salad anywhere. Thank you for a terrific meal. We had a large party and our server was great. Our second visit, it was as good as the first. Patty was an excellent server! The waiter was friendly, helpful and courteous. The food was delicious. They were some very loud parties sitting near us who were using profanity and that made our first visit there less enjoyable than it could have been.